Rendering of medical building under construction. 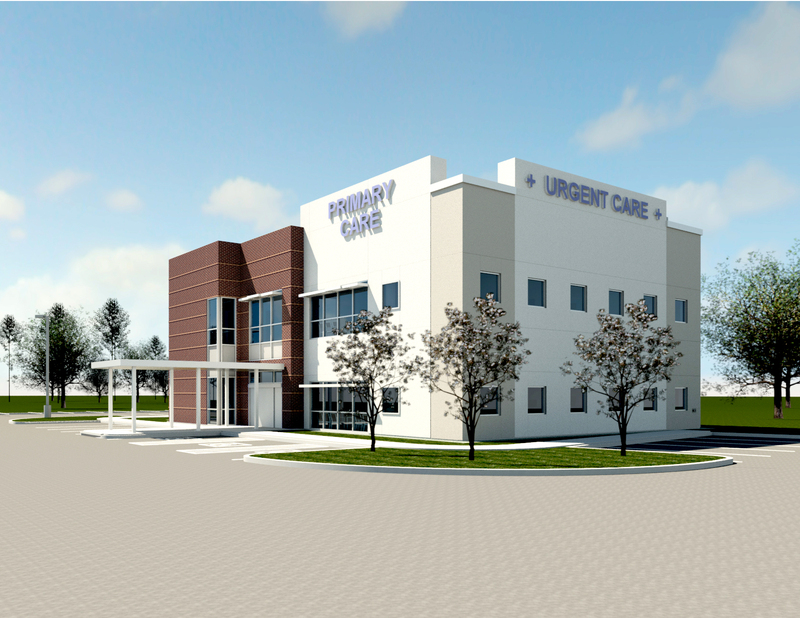 NEW CANEY, Texas – (Realty News Report) – A medical office building is under development in the Grand Texas development in New Caney, northeast of Houston. The developer of the US 59 Medical Office Building is SMJC Global Ltd.
Arch-Con Construction is building the 11,000-square-foot, two-story medical office building and Browne McGregor Architects is the architect. The project will be completed in the spring of 2019. “We are excited to be a part of this developing area,” said Evan Alford, senior vice president of Arch-Con’s Healthcare Division.